What Kinds of Drugs Do These People Abuse? Why Do They Use Drugs? What Are the Signs That a Person May Have a Problem? Why Do White-Collar Addicts Have a Hard Time Getting Help? How Do You Talk to Someone Who Might Have a Problem? Addiction affects people at all socioeconomic levels, including white-collar workers and executives. These people may use to improve performance or manage stress. People with drug and alcohol problems may continue to function at work, hiding their problem from others. However, drug abuse and alcoholism are serious problems that can ruin careers. Fortunately, there are a variety of treatment options, such as employee assistance programs. Prescription stimulants. These are traditionally prescribed to treat attention-deficit hyperactivity disorder (ADHD) in both children and adults. However, they are often abused because they are believed to enhance cognition. Increased energy and performance. Professional athletes, for example, abuse drugs to enhance their athletic performance.10 White-collar workers and executives may also use so-called smart drugs or stimulants to help improve their thinking and performance at work. Mental health disorder. Some drugs that are used to treat mental health disorders, such as benzodiazepines and stimulants, carry a risk of abuse. People may start out using these substances to treat a mental illness and become addicted when they do not take them as prescribed. Substance abuse among executives and white-collar workers can have far-reaching consequences. 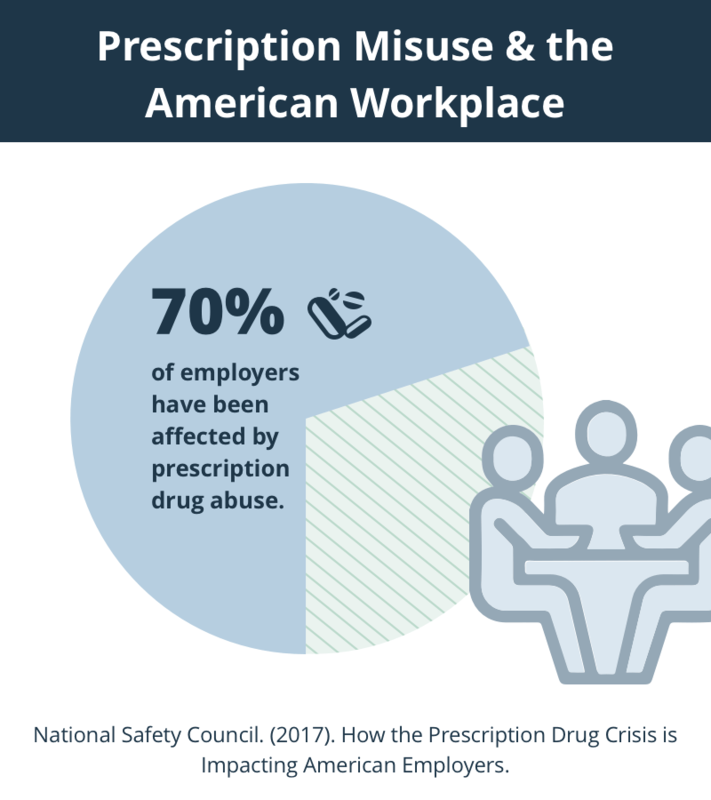 Not only does drug abuse and alcoholism affect the employee, but it also impacts the employer in lost productivity, healthcare costs, and reputation. One of the reasons that many white-collar workers and professionals don’t get help for substance abuse issues is because of the stigma associated with addiction. Often, when people think of someone that uses drugs, they picture an unkempt, unsuccessful, or unemployed person—not an esteemed surgeon or the CEO of a Fortune 500 company. They may not be able to accept that addiction can happen to them or fear that they might lose their job if they ask for help. Another reason that people are reluctant to admit to a substance abuse issue is that they are still performing at their job, so they aren’t convinced the drug use is a problem. They may even think that the drugs help them perform their jobs better. They are still performing at their job, so they aren’t convinced the drug use is a problem. Still others might think that they’re allowed to indulge in substances because they’ve earned it from their hard work. Many have the income to afford a steady supply of drugs. If they develop an addiction, they may not be able to admit that they don’t have control over their use—particularly if they’re someone who’s used to being in charge. Their boss or co-workers may look the other way or not even notice as long as the person is getting their work done. Explore treatment options. Even if your friend or coworker is not willing to get help at this time, look into treatment centers for the future. You can reach out to them to determine what types of treatment they offer and if they have any advice. If you are an employer, let the employee know about employee assistance programs that your company provides. Let the person know that you care. Tell the person that you are concerned and want to help. If you are an employer, you might offer a leave of absence or connect the employee with an assistance program. Express your concern non-judgmentally and empathetically. Document problems. Keep track of any disciplinary measures related to the employee’s behavior. Let the person know what consequences they might face if the problem doesn’t improve, and make a formal referral to an employee assistance program to help the employee correct the problem. Remember that you are not qualified to diagnose the person. Even if your employee tests positive for a substance or you highly suspect that they are using drugs, a formal diagnosis is needed to determine if they are addicted. Luxury and executive treatment programs. These rehabs are primarily tailored to high-ranking executives, business owners, and other professionals. They are typically private and provide special amenities. They may include a variety of therapies, such as counseling, medication management, holistic therapy, and support groups.Many of these programs have business centers where the person can continue to work remotely. Inpatient rehab. Hospitalization is sometimes required to treat drug addiction and alcoholism. Someone who is dependent on alcohol or drugs may start out with a detoxification program or be supervised in an inpatient setting until they are medically stable. Outpatient rehab. Outpatient treatment is often suitable for people with jobs because they can attend treatment sessions while living at home and continuing to work. Outpatient treatment varies in its intensity depending on what services are needed. It might also involve medication management. 12-step programs. These treatments, sometimes referred to as peer support programs, involve group-based therapy. Although these programs are effective, they do not work for everyone. High-profile individuals may not feel comfortable attending a treatment group. Relapse prevention and aftercare programs. Although employees may go through a period of sobriety after they receive treatment for substance abuse issues, they will need follow-up care to prevent relapse. These programs teach the employee skills to help maintain sobriety. Post-treatment relapse is common,17 but appropriate treatment and aftercare can help reduce the risk. National Business Group on Health: Center for Prevention and Health Services. (2009). An Employer’s Guide to Workplace Substance Abuse: Strategies and Treatment Recommendations. Oreskovich, M.R. and others. (2012). Prevalence of Alcohol Use Disorders Among American Surgeons. Archives of Surgery, 147(2), 168-174. National Safety Council. (2017). How the Prescription Drug Crisis is Impacting American Employers. Smith, M.E. and Farah, M.J. (2012). Are Prescription Stimulants “Smart Pills?”: The Epidemiology and Cognitive Neuroscience of Prescription Stimulant Use by Normal Healthy Individuals. Psychological Bulletin, 137(5):717-741. Olfson, M., King, M., and Schoenbaum, M. (2015). Benzodiazepine Use in the United States. JAMA Psychiatry, 72(2), 136-142. Centers for Disease Control and Prevention. (2015). Today’s Heroin Epidemic Infographics. Substance Abuse and Mental Health Services Administration. (2007). 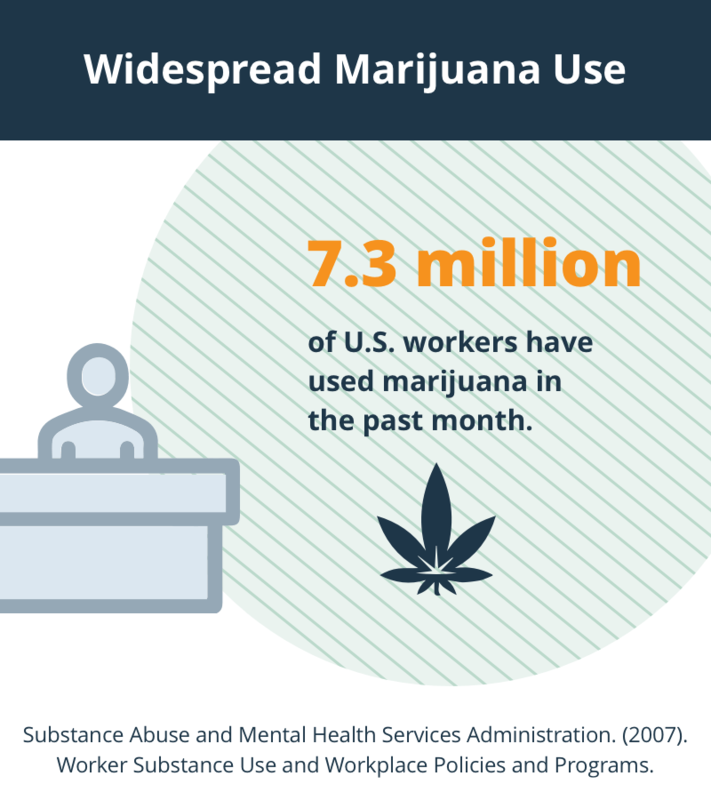 Worker Substance Use and Workplace Policies and Programs. Haglage, A. (2014). 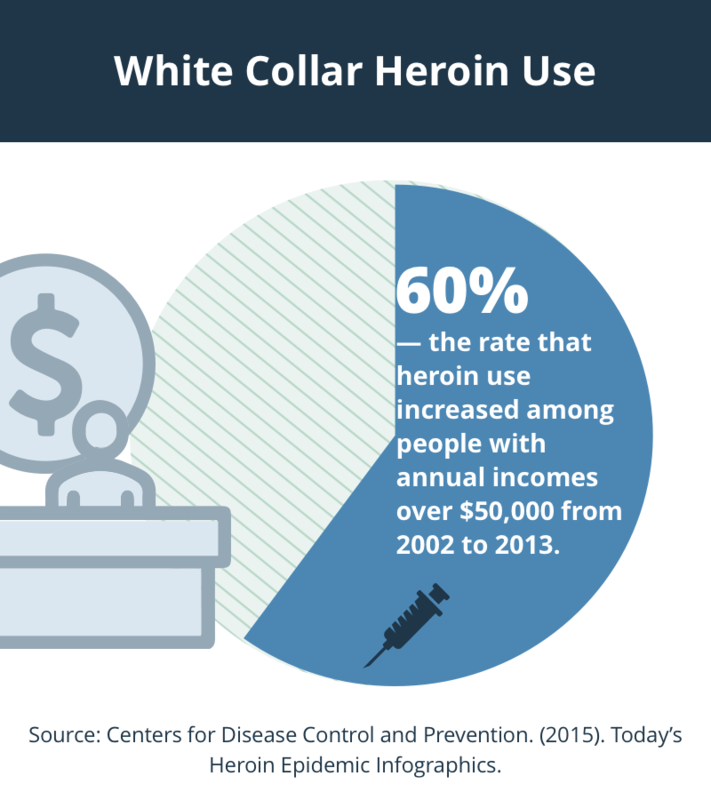 The White Collar Heroin Problem. Belfort, J. (2007). The Wolf of Wall Street. New York: Bantam Dell. Reardon, C.L. and Creado, S. (2014). Drug Abuse in Athletes. Substance Abuse and Rehabilitation, 5,95-105. Price, M. (2011). The Risks of Night Work. Monitor on Psychology, 42 (1). Dumitrascu, C., Mannes, P., Gamble, L., Selzer, J. (2014). Substance Use Among Physicians and Medical Students. Medical Student Research Journal, 3, 26-35. National Institute on Drug Abuse. (2017). Faces of Addiction. National Council on Alcoholism and Drug Dependence. (2017). Drugs and Alcohol in the Workplace. National Institute on Drug Abuse. (2002). 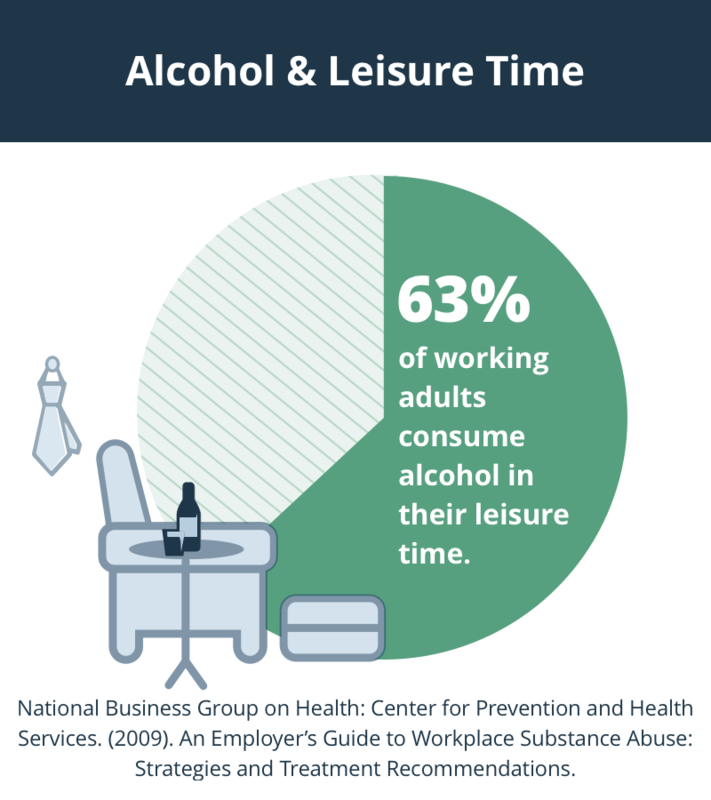 The Workplace and Alcohol Problem Prevention.